H. V current-limiting fuses type S is mainly used in AC50Hz, rated voltage 3.6~40.5KV, rated current up to 200A circuit for protection transformers and power equipments from overload and short-circuit. It can also be used with load switch, vacuum contact. 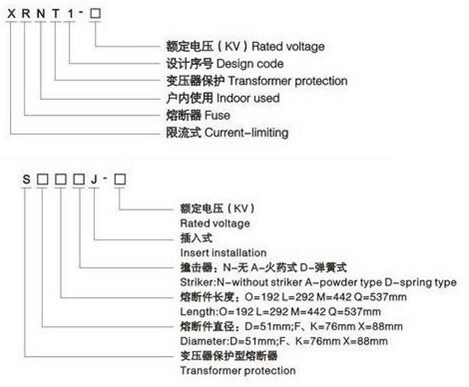 S type H. V HRC current-limiting fuses is insert installation. The striker parallers to the fuse element made from pure silver. They are sealed in the fuse tube filled with chemically treated high-purity quartz sand. 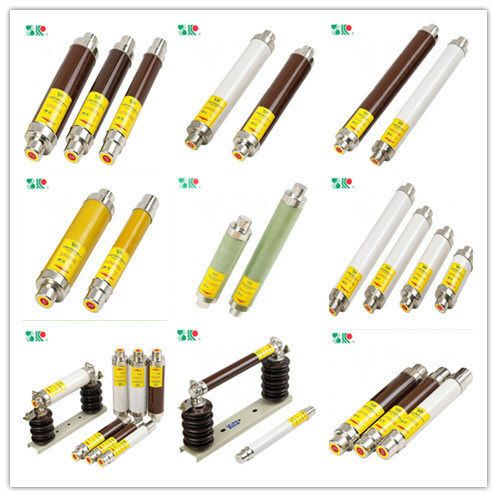 The fuse tube is made from heat resistance, high duty ceramic or expoxy glass. When fault circuit happens, the fuse link melts, the high-resistant metal wire paralleling to fuse links melts immediately at the appearance of the arc, and the striker jumps out to push the chained equipment contact, signaling the melting automatically cuttig the circuit. The striker has spring type striker jumps out to push ethe chained equipment contact, signaling the melting automatically cutting the circuit. The striker has spring type striker use high pressure caused by the lighting powder to push the striker. S type H. V. HRC current-limiting fuses has many merits as high current-limiting ablilty, high breaking capacity, quick and punctual in action, reliable in performance.